Hashima Island in Nagasaki Prefecture, commonly called Gunkanjima, used to be densely populated for offshore coal mining. Its coal mines began shutting down in 1974 and Gunkanjima has become a deserted island. The island is attracting tourists because visiting abandoned sites has become a trend recently. 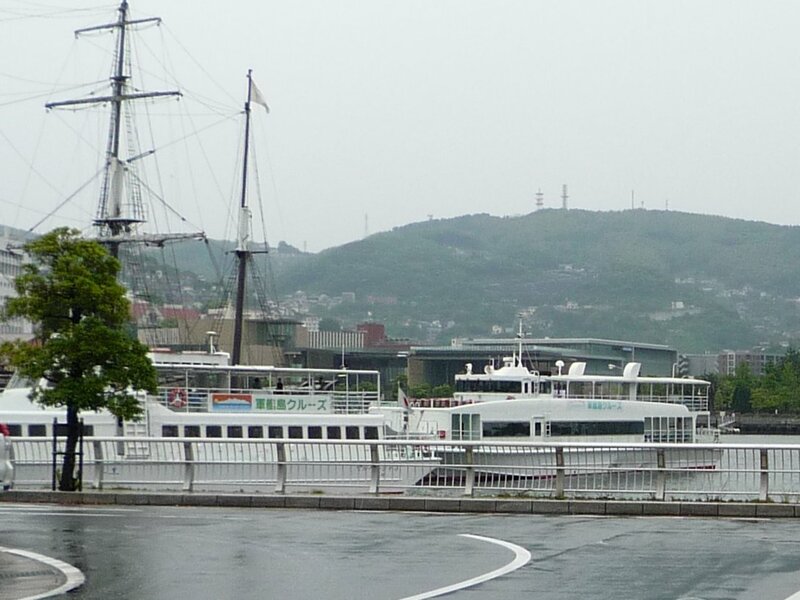 It takes about 40 minutes from Nagasaki Port to Gunkanjima. Gunkanjima, Iojima Island, Takashima Island, and Nakanoshima Island are closely located to each other. Hashima Island is called Gunkanjima (Battleship Island) because of its battleship-like shape. During the Meiji Period and the Showa Period, Gunkanjima was more densely populated than Tokyo. The island has been deserted since coal mines closed. You can choose a plan from several options; just enjoy the view of the island from the boat, or go to the eerie island and snap some photos, etc. You might be presented with a stamped certificate shown above depending on which company you choose. The unusual scenery of the abandoned island will make your trip unforgettable…it’s guaranteed!